In 1908 Mark Gertler entered the Slade School of Fine Art where he studied under Henry Tonks and Philip Wilson Steer. Essentially a realist, his work over the next decade showed his dissatisfaction with English Post-Impressionism. He sought to bring to his paintings a strength and purpose, exemplified by bold, almost harsh colours and simple compositions. Although an inanimate object, the direct gaze of the wooden toy has an unnerving effect. 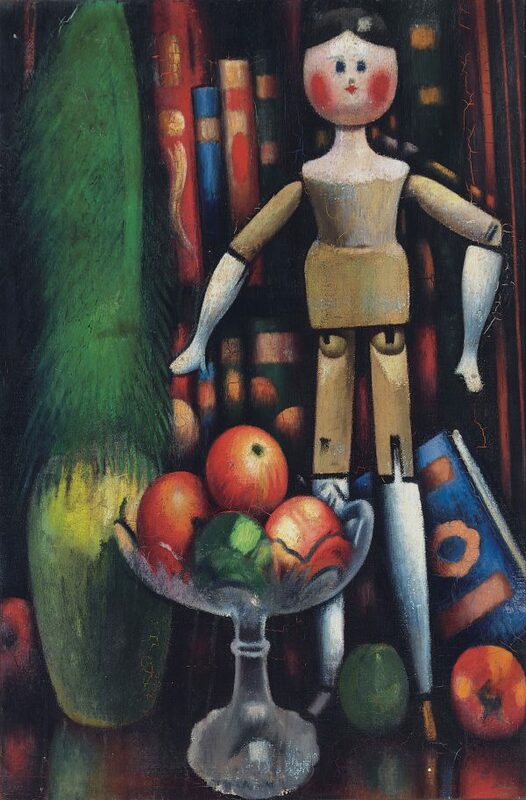 The doll in the picture is a Dutch Doll, also the subject of a painting executed in 1926, in the collection of the Royal Pavilion and Museums, Brighton and Hove.